Japanese manufacturers and retailers are increasingly targeting big-spending Chinese visitors, with many recently shifting their focus from group tours to independent travelers. 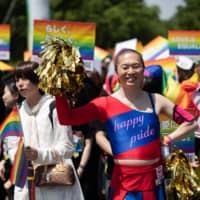 While Chinese group tours are known in Japan for bakugai (explosive buying) of Japanese goods, particularly electronics and cosmetics, a growing number of independent travelers from mainland China are purchasing products in bulk to take home from their travels. 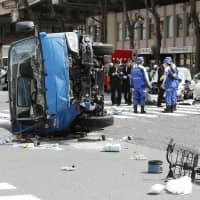 A man in his 30s from Shanghai recently purchased ¥20,000 ($180) worth of eye drops, stockings and cosmetics on behalf of his friends at variety retail operator Don Quijote Co.’s store in Tokyo’s Shinjuku shopping district. He asked a sales clerk about the differences between two kinds of eye cream. 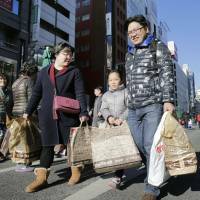 “We are changing how to wait on customers, as the number of tourists visiting here on an individual basis is increasing these days,” said employee Liu Fan, who is in charge of foreign shoppers at the store. 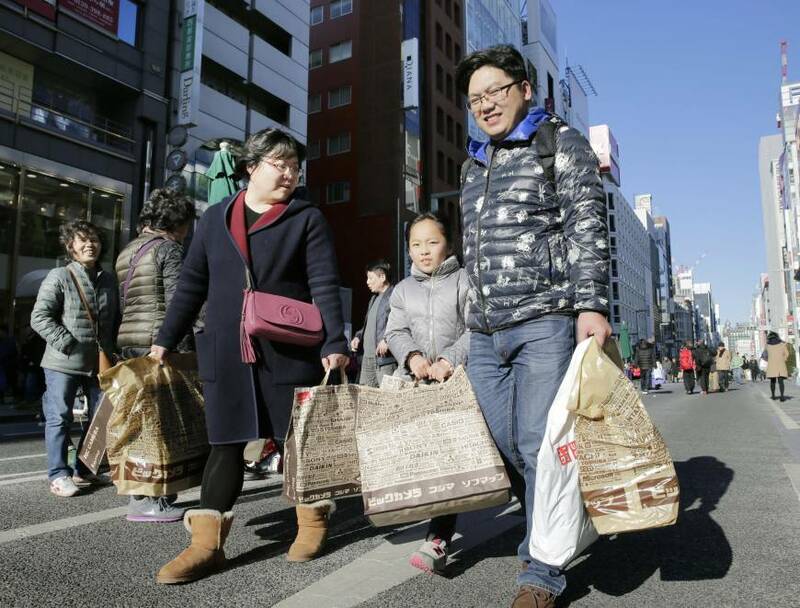 Tourists on group tours show their shopping lists to sales assistants to gather necessary merchandise because tight tour schedules do not permit them to spend much time on shopping, according to Liu. But individual tourists have time to walk around in the store and carefully select what they buy. They often ask sales attendants about the popularity of goods in Japan. 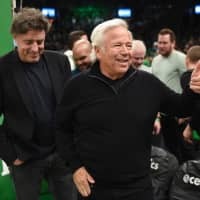 “They purchase goods they didn’t originally plan to buy if we explain the high quality and popularity of them,” Liu said. 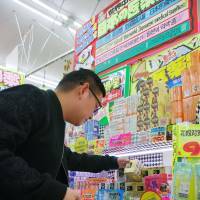 Along with Chinese-language signs saying “popular in Japan” for top-selling products, the Don Quijote outlet began in January to put up handwritten signs in Chinese to explain the features of products and how to use them. 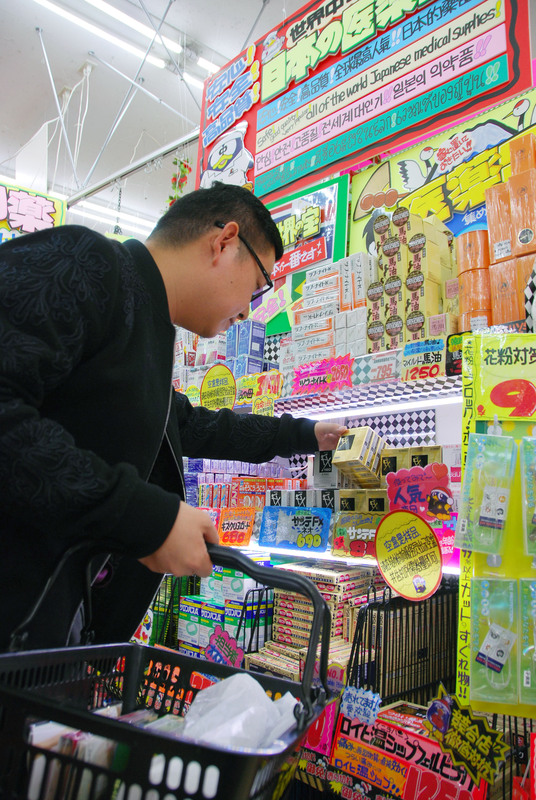 A Taiwanese analyst of Japanese drugs and cosmetics said tourists from China and Taiwan decide what to buy in Japan based on information online. Manufacturers are stepping up ads at retailers, recognizing the influence of buyers’ comments on websites. For example, Kobayashi Pharmaceutical Co. has put up signs stressing that its Netsusama Sheet cooling gel patch, affixed to the forehead of people with fever, has maintained the biggest share of the Japanese market. Lion Corp. began last autumn making two-dimensional bar codes available at retailers to show Chinese-language explanations on mobile phones about its antipyretic and pain-killing agents, eye lotions, anti-acne products and other medicines. Some other makers have assigned Chinese-speaking employees to drugstores often visited by Chinese tourists. Japanese companies need to “steadily offer information in China and arouse interest in their products among Chinese people before their visits to Japan” so that they write comments on websites after returning home, Shike said. MicroAd has boosted monthly sales by five times in the first year since its foundation in January 2015 thanks to orders from large manufacturers and discount retailers, Sugiyama said.